YouthCO.org is a non-profit organization that educates and supports youth struggling with HIV and HEP C. YouthCO needed a rebrand of their website. The old website did not have a CMS to update their site. As an organization, they wanted to post upcoming events, news, and share questions using their site. That’s when YouthCO came to us to help them sort out this issue. 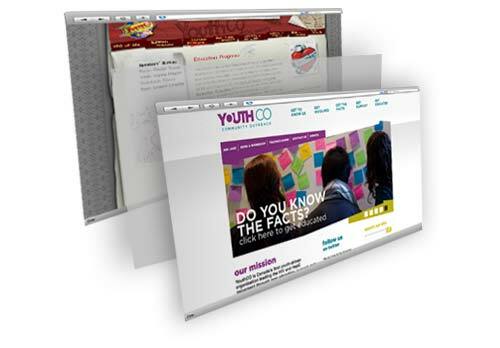 As a non-profit organization, YouthCO wanted to redesign their website to communicate and inform their visitors of their vision. Along with a new websites, YouthCO wanted a new brand refinement for the launch of the new site. The new design used the element of layering based off their old website. Using cropped images and layering shapes allows a the site to feel like the old website. With the new site navigation, it allows visitors to navigate through the site based on what they are trying to find. YouthCO.org is proudly powered by WordPress. Using WordPress allows the staff to edit and add new pages. 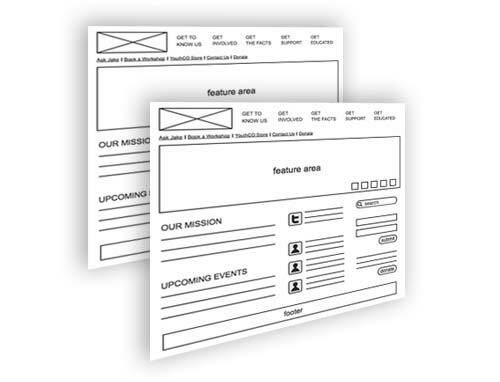 The staff can manage their own site and add content easily with no hassle. With the old site, there was no content management system. All pages had to be hand-coded. This slows down updates to the site and it’s not fast and efficient to use. WordPress is a great platform to use. YouthCO is a Brand, Web experience for Non-Profits.